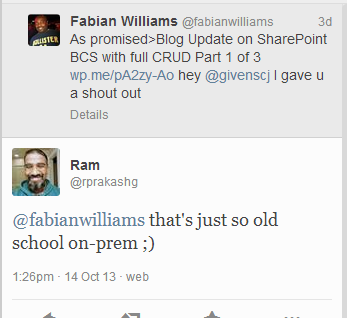 Sure its late and YES I could be rotting my brain away on the Idiot Box, but what started off as a Taunt by Ram turned out to consume my life for 2 days straight but with useful results, challenges that were overcome, and a better appreciation for not just Cloud, but the integration of Cloud and On-Prem using Windows Azure. Let me tell you what I did, and how easy it was… in the end, plus the real implications of it. but… I took it as a challenge and, I rarely back down from a challenge 🙂 so, since I have a MSDN subscription, there was “really” nothing holding me back besides my inexperience creating Azure Web Roles, which is what you need to do in order to have the requisite Data Access Points (URI) to create External Content Types and potentially Workflows. 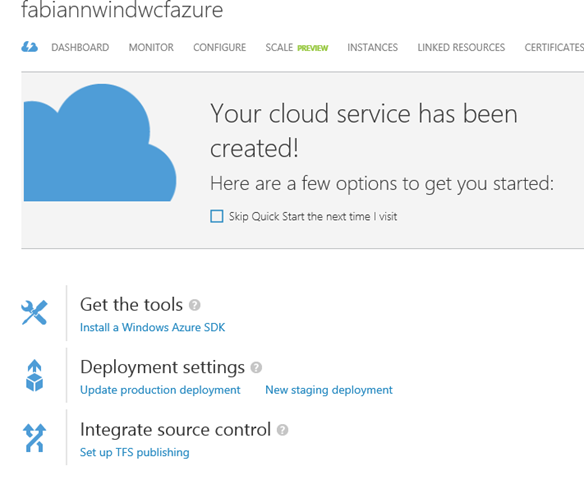 So, with a little research on Google scratch that, I mean Bing, I found a few MSDN, and TechNet blogs on how to create Web Roles, although not many of them “accurately” showed you how to use Visual Studio to DEPLOY your solution back to Azure. Anyway, it was surprisingly easy, although initially it was somewhat intimidating and i did get snagged on a GOTCHA which i will blog about later when doing a ASP.NET Web Role where it requires you to lower your version of the System.Data.Client assembly from 5.0 to 4.something in order for it work in Azure, i say that because it worked perfectly when I debugged it locally on my Visual Studio IIS. I also had to create an Azure SQL Instance and used a script I downloaded from CodePlex to restore a Northwind Database to my Azure SQL Instance and then I set up firewall rules to allow me to access it over the internet. 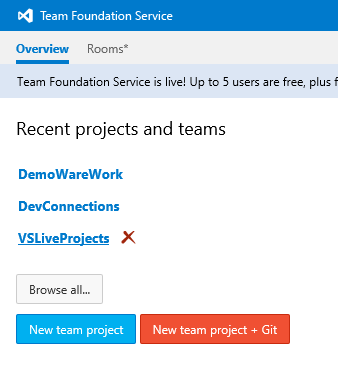 So, what made this so easy for me was I signed up for TFS Online here http://tfs.visualstudio.com/en-us/tfs-welcome.aspx and EVEN WITHOUT a MSDN Subscription you can sign up for FREE and get 5 accounts in one instance. So that’s all I have to say, I guess we really Paid It Forward RAM, you encouraged me to do this, I in turn, documented my efforts and hope that someone else can take it from here. Cheers all, have a great night. 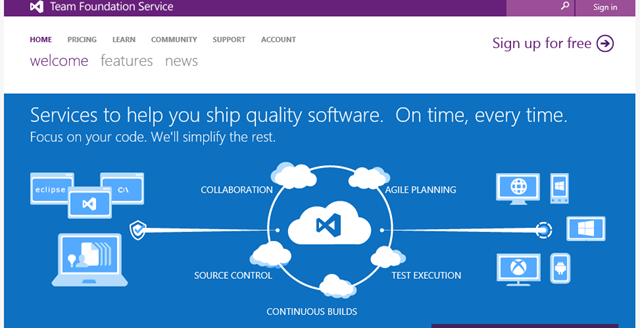 Oh yeah, VS 2013 is out now. GO get it.